New Buick Vehicles - Buick SUVs, Cars, And Trucks In Fort Collins | Markley Motors Inc.
An American icon since 1908, Buick is known for their intuitive technologies, responsive performance, and timeless designs. Now you too can take part in the Buick legacy by purchasing a new Buick from our dealership in Fort Collins. 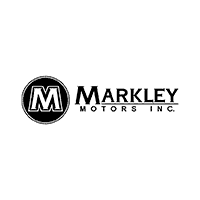 Markley Motors is proud to be Northern Colorado’s leading Buick dealer. Whether you’re looking for a new car, truck, or SUV from Buick in places like Longmont, Greeley, and Loveland, we can help you find the perfect vehicle for your Colorado lifestyle. Click or call our sales consultants today to schedule a test drive of a new Buick vehicle.